The Galle Face Hotel has announced that renowned gypsy jazz band Gala Swing Quartet who is on tour to Sri Lanka as part of the annual French Spring Festival will perform at the Galle Face Hotel on 24 June at 7 p.m. 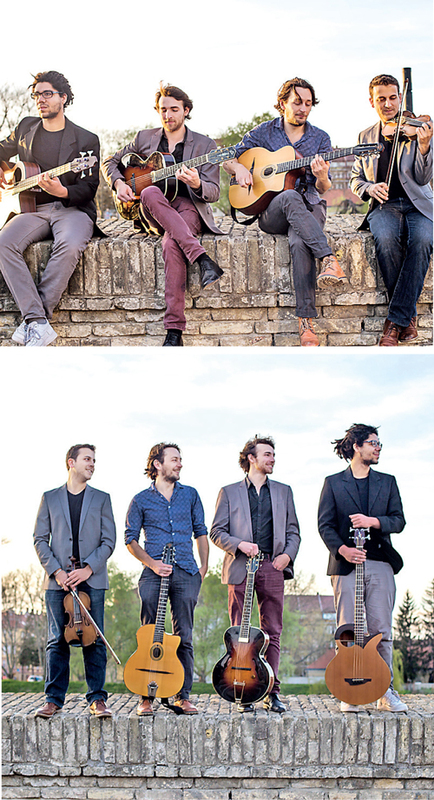 The Gala Swing Quartet comprises four young French musicians from Aix-en-Provence in the South of France; Alexis Desmarais (guitar), AlexandreFlorentiny (acoustic bass), Gaspard Doussière (violin) and Tom Valdman (guitar). Accustomed to playing in the streets as well as in concert halls, the band entertains their fans with a blend of original compositions and arrangements of jazz hits standards by Stéphane Grappelli and Django Reinhardt, but also with a touch of funk and a touch of groove. The hotel also announced that on the day, the buffet at the Verandah restaurant at the Galle Face Hotel will be priced at a special concessionary rate of Rs. 2,500 net in celebration of this performance.